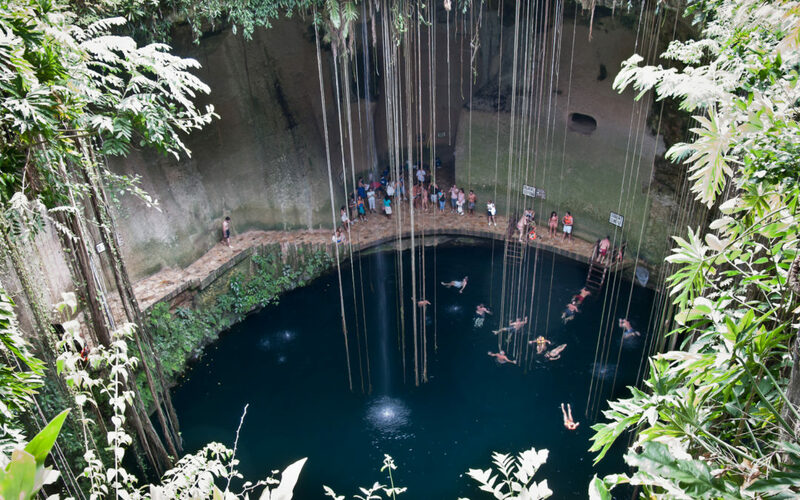 Ik Kil in Mexico is a cenote. 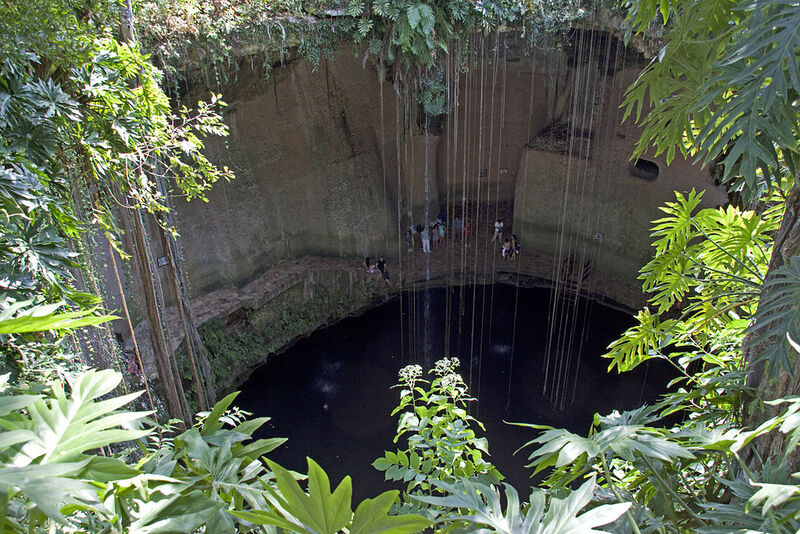 A cenote is simply a sinkhole or a natural pit. 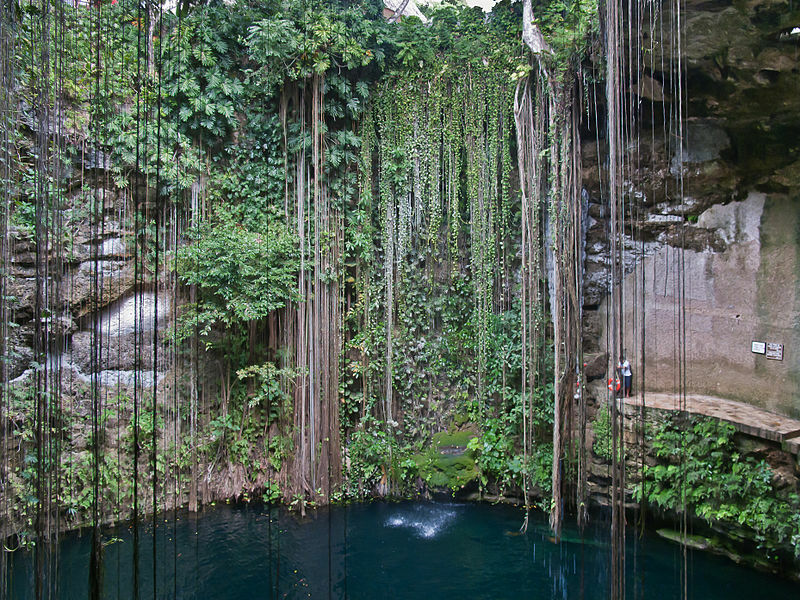 Due to the collapse of the ground above, cenotes form and contain what is usually clear water due to its former underground location. 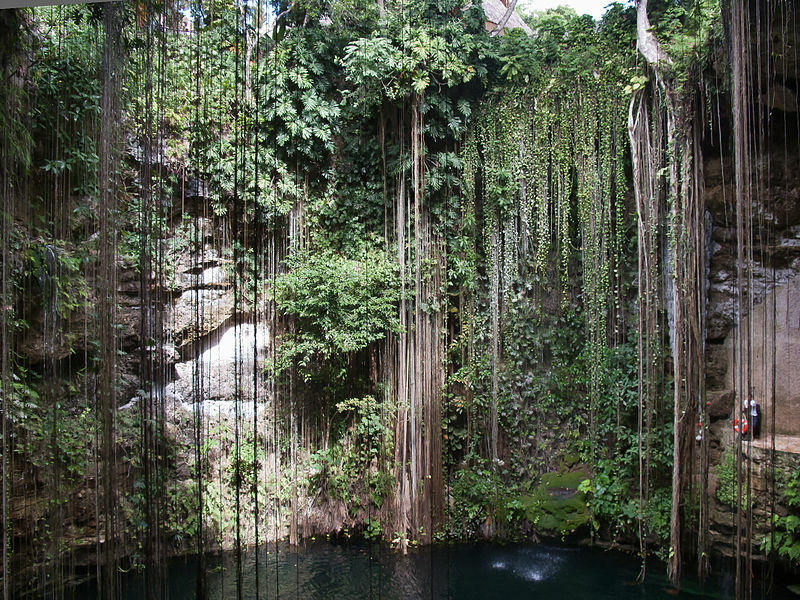 Foliage and vines tend to drape down to the water, making the cenotes even more ethereal. At Ik Kil, a stone stairway has been carved from the rocky sides of the cenote to enable human visits. At one time the area was considered by the Mayans to be sacred. 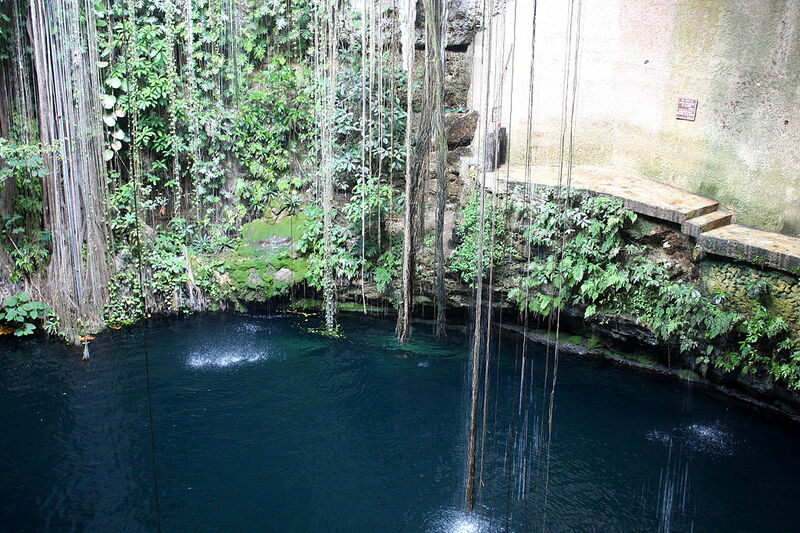 Archeologists have discovered various items showing that the cenote has been in use for centuries. It’s thought that human sacrifices took place there. Today, visitors are a little better catered for. You can swim in the clear lagoon – although some may find it a little crowded depending on when you visit.